Today, Apple is one of the largest and most profitable technology corporations in the world. Obviously, to achieve such a prestigious status would not have been possible without the effective work of the management, especially the CEO. 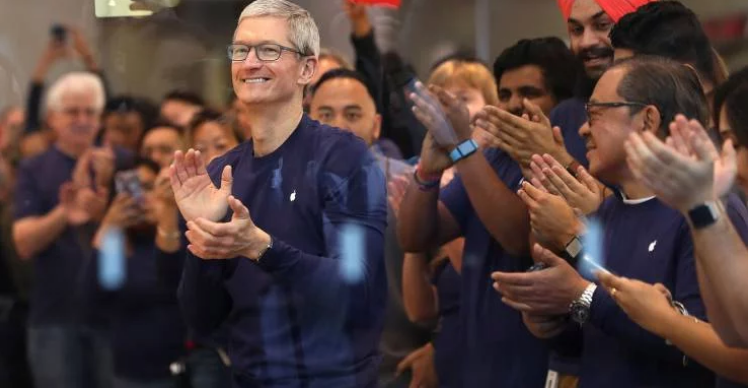 How exactly begins the working day of the head of Apple and what is the secret of high performance – all this, Tim Cook decided to tell in an interview with Axios. The head of Apple gets up very early – at 4 am. For some, it may seem like a discovery, but the first thing Tim Cook does is to look at the comments and feedback from Apple device users received via email. In the first hour after waking up, I usually do what I read messages from users of Apple products. Opinions of people “from outside” allow us to look at familiar things in a different way. And this is very important for me and the company as a whole. According to Tim, this process takes an average of one hour each day. After that, the CEO of Apple goes to the gym for training. Sports allows you to keep yourself in good shape, and helps reduce stress levels. During a workout, Tim Cook uses Apple Watch. According to the CEO, smart watches help keep track of shape and even contribute to weight loss. On average, the gym takes another 50-60 minutes from the daily routine. After completing the morning business, the head of Apple proceeds to his direct duties and goes to his office. During this time, about 700-800 new letters arrive at the email, most of which he reads personally. Despite established opinion, Apple CEO is very picky about his employees. He is always interested in his subordinates, how things are progressing in one direction or another and, if necessary, can repay them. At the end of the day, Tim Cook leaves the Apple campus one of the last. He tries to complete all of his work affairs by 20:45. Also Check: What to expect from iOS 13?